What if…? Redefining research impact from an environmental humanities perspective. The following text has been conceived as an environmental humanities critique to research policy regarding what are considered “research initiatives of excellence”. What if ….? What if….? What if….? All researchers want their work to have an impact and are increasingly under pressure to demonstrate it. But what does this mean? At present, research impact is largely defined in relation to dominant neoliberal economic frames. The language of excellence, innovation, development, marketability, knowledge economy, and the building of human capital are cornerstones to how funding agencies measure the value of academic outputs. But is this the best way to define impact? Critique of the research impact agenda by now is widespread, and we think that environmental humanities offers insightful ways to rethink what is meant by impact in radically alternative ways that address specifically environmental concerns. Environmental Humanities (EH) takes as its starting point the idea that humans and nature are radically inseparable and that humanities subjects (literature, history, philosophy, arts, etc.) have the potential to provide key insights into the ways we live, why we do so, and how we can change. Environmental humanities research provides historical perspectives, situates scientific and technological change in cultural context, addresses ethical problems, interprets and provides new narratives, and works with local communities. Humanities teaches about the power of words to make worlds. Storytelling as a way to generate alternative narratives is therefore at the heart of environmental humanities practice. This collaborative piece by four people undertaking a PhD in EH is a speculative attempt at what it means to redefine research impact through what we have learnt from doing environmental humanities research. Speculating means here supposing, hypothesising, venturing, or simply, imagining – asking ‘what if….’?. We speculate here from an EH perspective about ‘what if’ research impact was thought differently and how? What kinds of impact do we wish to be making? What do environmental humanities teach us about how we might measure research results, outcomes, and processes differently? Together we propose a story about the kind of research worlds we would like to inhabit. We take four core concepts that are currently central to how research impact is understood – Mobility, Innovation, Employability, and Economic Growth – and rethink these. Instead, we propose that from an emphasis on mobility we shift to support for inhabited movement, that from a focus on innovation we switch to re-valuing innovative teaching that enhances ecological living, that from a concern with employability we highlight the building of ecological ability, and that from an obsession with economic growth we move towards degrowth as central ways that impact is defined. What if this was at the core of how research impact is measured..? Proposals for research funding illustrate their impact by describing how they will train researchers so that they be employable. Employability as a concept has become normalized, leading to funding opportunities, research projects, university courses and programs that survive only if they can promise to deliver a path to higher earnings. To meet this criteria, research projects train researchers in skills to capacitate them to work in a variety of academic and non-academic positions. Employability–as a modified model of the linear career path model–is a reductive vision of a more ecologically-sound life path. By disregarding non-instrumentalist values within humanities scholarship, making researchers employable ignores different forms of training possibilities and opportunities. Satisfying employability as an impact criteria molds the researchers into marketable, tradable, commodities whom are personally responsible for their failures in employment and career. Because markets change, jobs increase or decrease, “employable” researchers can only find success in the terms of the market. In other words, universities bear little responsibility for providing researchers with jobs while they rely more heavily upon non-institutional funds. And, as a virtue of their employability, researchers are often uprooted, traded like sports players, and disincentivized to form lasting, meaningful relationships with local communities. Though a broader imagining of employability could take individual factors, personal circumstances, and external factors into account, employability negates the justification for actively cultivating skills and talents that do not serve the growth of the market economy. Employability serves globalized economic or political values over social or environmental ones. From an EH perspective, researchers need ecological-ability. Rather than attempting to develop employability as a diverse set of skills that a researcher can pull out of his or her pocket like a swiss army knife or smartphone, funding could foment values and skills that extend outside economic logic to fulfill non-universalized ethical and ecological obligations. Impact could be measured by providing researchers with habits that contribute to the flourishing of lives and worlds, with an eye towards human health and well-being (an EU Environmental Policy objective). Training, therefore, ought to be provide researchers with life skills that enable them to improve the quality of life for themselves and other communities, including animals and environments. Qualities like reflexivity, community engagement, supporting alternative cosmologies, ethical action along with practical skills including gardening, holding an activist rally, foraging and hunting, writing a poem become as meaningful as one’s ability to publish an academic paper, plan a conference, or manage project finances. Scholars’ mobility is considered to be one of the key factors in defining the quality of a research project. Internationalization of research, network-building, and human capital exchange all contribute to demonstrating the successfulness of an academic project. For example, in 2012 Swedish funding agency Vinnova launched the “Mobility for Growth” program, whose “overall objective is to support career development for individuals through mobility” (p. 2). 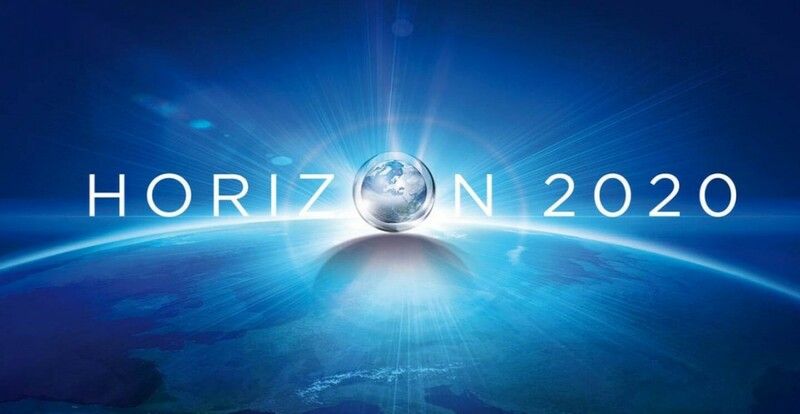 Horizon 2020’s funding document underlines that in order to improve Europe’s “attractiveness for researchers […] research projects should encourage them to move between countries, sectors and disciplines to enhance their creativity and innovative potential” (p. 984). EU funded research programs also value the enhancing of mobility among academics as a concrete way of shaping European citizenship. But what kind of European citizenship does this produce? Although it is true that mobility of ideas and researchers has long been a fundamental component in the construction of an international scientific community – both for hard sciences as well as for human sciences – engaging with environmental humanities implies questioning the simplistic equation that mobility = good research and, more specifically, that increased mobility (hypermobility) = positive impact. Moving scholars’ bodies across borders and cultures entails moving and mixing cultures, habits, family and relational ties, ways of dwelling and ways of being together with other people, other environments and different ecologies of life. Our carbon and ecological footprint should be considered when evaluating the impact of research projects. According to KTH’s Travelling Scientist, “researchers who want to contribute to a more sustainable world are on average emitting two tons of CO2-equivalents per year”. Imagine the increases in carbon usage for researchers required to be mobile. It’s counterintuitive for researchers aiming to reduce a local or global carbon footprint by increasing their own. Being hyper-mobile has its impacts; it boosts international connections — but perhaps at the expense of slower forms of engagement more locally, and also often to the detriment or risk to the researcher’s own wellbeing, sense of place, and capacity to build an ecological life. The very action of continuously moving between one country and another — be it to take part in training activities, perform multi-sited fieldwork, build a network, or participate in international conferences — contradicts basic knowledge about environmental harm.Thus, hyper-mobility cannot be part of any environmentalist agenda. Environmental humanities research studies and supports experiences, livelihoods and research practices that promote a transnational and translocal sense of place without losing sight of the social and ecological relationships in various communities. We need to be able to have the possibility to inhabit places as much move in and between spaces as scholars engaged in genuine transformative, environmental humanities work. Inhabiting takes time. Environmental humanities as a research practice can and should contribute to preventing globalization from displacing de-rooted professionals across the globe, as well as criticizing the neo-liberal project (the flexibilization and causalization of academic laborers on the job market) behind the creation of intellectual placeless reservoirs. Against economic value-producing and placeless citizenship fostered by hyper-mobility, environmental humanities promote community-based research practices, built around slow mobility, place, as well as human and more-than-human relations. As Ursula Heise framed it, environmental humanities helps retracing the sense of place (2008), while the hyper-mobility that informs many research agendas ends up loosening place-based ties. Trans-locality as an open form of dwelling should be a constituent of both research subjects as well as researchers’ lives. All those characteristics shape a form of ecological citizenship and awareness that should be the core mission of any environmental humanities projects. The need to prove impact through innovation is a standard part of many research grant applications. But ‘innovation’ in this context most often means new products, services or technologies. Innovation can also be measured through publication output. But one area that has the biggest potential to create innovative impact within academic work is grossly undervalued or marginalized – that is, teaching. One reason for its low status in academia may be that teaching is a gendered practice – often treated as ‘women’s work’ because of its deployment of emotional labour and care. We propose that the concept of research innovation expands to include teaching, and innovations in teaching, as a central measure of impact on the kinds of students, or citizens, universities and research influences. ‘Students’ in this case should mean both those within the traditional boundaries of the university, but also, and more critically, those beyond. Environmental humanities seeks to develop more equitable relationships among human and non-human communities. Rather than technology being the one-bullet answer to societal challenges, pedagogy allows for researchers to actively participate in shaping societal values, relations and responses to change, including building human-non-human engagement and the embedding of persons within an ecological world. Teaching is often the space where students can critique and imagine approaches to ways of living, justice, and environmental crisis, and learn to de-centre the human individual. Teaching changes the innovative product model to one where innovation is internalized in active subjects as students. In particular, EH rests on the requirement that we participate in the world as we find it through learning and practice. It becomes about being ‘an effort to inhabit the difficult space of simultaneous critique and action’ (Rose, et al. 2012). Thus teaching should be understood ‘as action and the classroom as ‘the field’’ (Tripp, Muzzin, 2005; Hutchins 2012). Innovative teaching points towards the development of practice- and field-based learning particularly within the environmental humanities where experiential learning must be a central component if we are to apply our knowledge towards change. Research impact is often defined in relation to its contribution to economic growth measured in GDP. Yet the agenda of environmental humanities is at the very least critical of, if not outright oppositional to, economic growth as an overarching societal goal, since unfettered growth lies at the heart of the environmental crisis, including biodiversity loss, climate change, and resource depletion. So should the value of our research be measured in relation to it? Since, as economist Tim Jackson states, ‘Questioning growth is deemed to be the act of lunatics, idealists and revolutionaries’, such a query is often deemed ridiculous. Particularly for researchers who must comply with the economistic boundaries of grant awarding bodies and funding agencies. Yet taking environmental humanities seriously points to the need to articulate this very question. The concept of ‘degrowth’ is emerging as one of the key modes by which environmental humanities is expressing this call for alternative practices (see Emmett and Nye 2017 and Nelson and Schneider 2018). This should apply to ways that research impact is defined too. The ‘degrowth’ movement calls for relinquishing ambitions for growth, pursuing instead the aims of a steady-state economy. This is motivated both by the material reality of a drastic slowing-down of global economic growth as a contemporary sustained trend, combined with ecological and social limitations, including the fact that economic growth has increasingly failed to deliver on its promises of improving collective wellbeing, apparent in rising mental health issues, growing social inequality, and mounting ecological disaster. The Research and Degrowth community in Barcelona defines sustainable degrowth as a ‘downscaling of production and consumption that increases human wellbeing and enhances ecological conditions and equity on the planet’. What if research impact was measured in relation to contributing to such a downscaling of growth, producing happier, healthier, more productive and connected people and communities in the process? How would this redefine our research questions, practices and outputs? One of the main outcomes would be a refocus on a more expansive conception of wellbeing as intrinsic to the values of a degrowth economy, and therefore a central measure of our research impact. The notion of human (and more-than-human) wellbeing is a cornerstone principle of degrowth economics. This is perhaps unsurprising since the degrowth movement has grown in traction alongside ideas of alternative measurements to economic growth, such as the ‘Gross National Happiness Index’, adopted also by the UN’s World Happiness Report. In June 2016, the OECD committed itself ‘to redefine the growth narrative to put people’s well-being at the centre of governments’ efforts’. At least rhetorically, wellbeing seems to be all the rage. This is also the case within the Higher Education sector. In August 2018, the UK Minister for Education, Sam Gymiah, said that the role of the University is no longer simply the ‘training of the mind’ but that promoting and ensuring the mental health and wellbeing of its students should be at the heart of its mission. Despite this focus on wellbeing as core to societal progress, research impact frameworks are yet to catch up. How might we think about research impact to focus on the wellbeing that it generates – from the wellbeing of the researcher themselves to the wellbeing of the organizations, communities, and societies that the researcher is part of – as part of a degrowth agenda? What cascade effects might this have on questions of precarity and the flexibilization of academic labour? Environmental humanities, that places questions of value, relationality, cultural ethos, and quality of life at the centre of its agenda, points urgently towards replacing growth with degrowth as an explicit research impact assessment framework to propel new practices to these ends. Our exercise in speculative engagement with the notion of research impact leaves us feeling hopeful and also alert to how things stand today. We recognise that currently we have to work within the boundaries of possibility which we inhabit. But as environmental humanities teaches us – imagination, wondering, posing the ‘what if…?’ question is the beginning of narrating new worlds into being. We look forward to a time where inhabited movement, ecological ability, innovative teaching, and degrowth – with their combined attention to wellbeing, care, relationality, and ethics – are core aspects of how we think about and measure the impacts researchers make on the world. What if…? Redefining research impact from an environmental humanities perspective. | metcetera on What if…? Redefining research impact from an environmental humanities perspective.